It’s taken nearly a year, but we’re proud to announce the arrival of our new long and short sleeve foul weather jerseys. grey and wet? just get out there! First up – fabric. 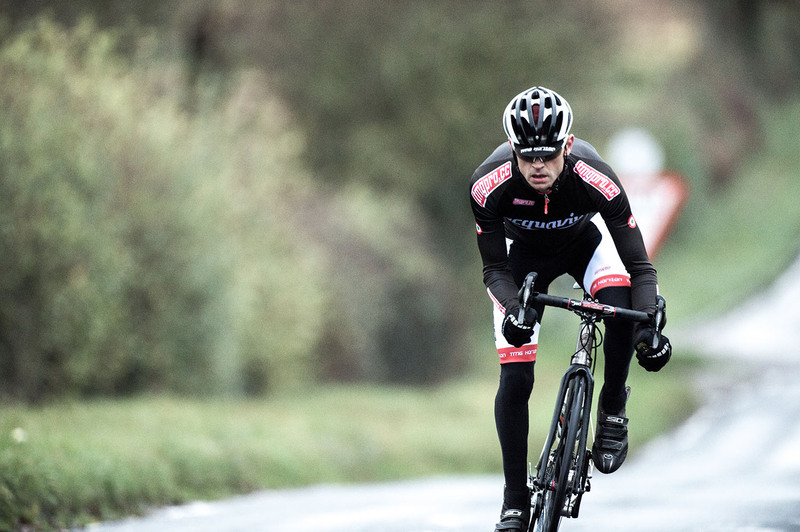 We selected a Water Resistant (yes, water resistant) fabric from Italian specialists Vagotex who developed it in conjunction with two WorldTour teams whom we’re not at liberty to name. Its ‘waterproofness’ is rated at 10,000 mm. For more on how this performs in relation to the Gabba, there’s a test of the Parentini Mossa over at road.cc which uses our fabric. Then, cut. The nature of this garment is fundamentally race fit. 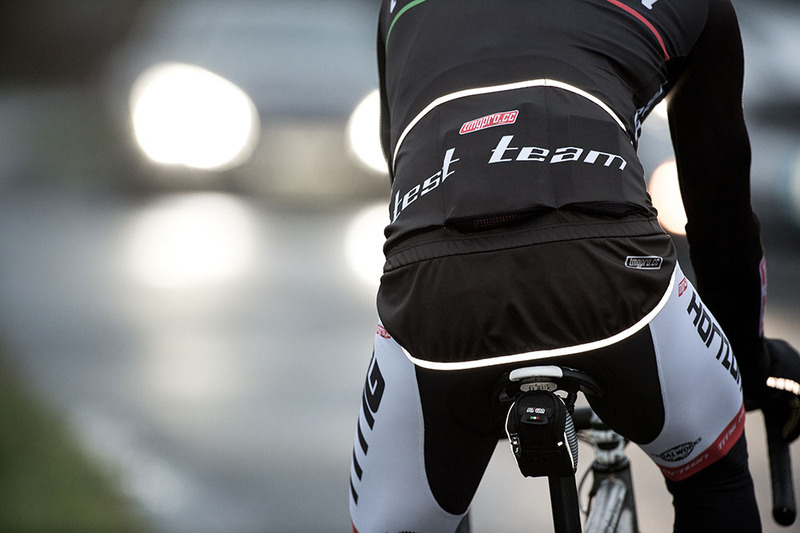 It’s designed to replace your race fit jersey. This has obvious aerodynamic benefits but it also just feels faster and more powerful. Training with race fit kit is more fun! We protoyped 3 iterations until we were happy that the fit was sufficiently slim and specific to a cyclist’s physique. It’s pretty unforgiving, but we believe that the kind of riders who’ll be using this consistently will fit that shape. We also added 40mm to the original proto sleeve length. Compared to a ‘normal’ jersey, this may seem somewhat extreme, but bear in mind that in wet conditions, water will run down the arms. The arms need to be able to overlap the glove as much as possible. Factor in also the aero / ‘attack’ racing position where the elbow is bent and those 40 millimetres take on a greater significance. Note finally, no ‘wicking’ cuff at the end to drag water inside. We added a storm flap as has become customary for this type of jersey. It alleviates that sinking feeling as the jet of cold water from your back wheel hits your lower back and runs down…. you know. And of course, reflectives. Finally, printability. Well, we are custom clothing specialists. One of the hallmarks of this product group in the recent past has been a sea of solid colours with distinctive simplistic transfer printing. No longer. The Acquaviva (long sleeve) and Burrasca (short sleeve) are completely sublimated so we can produce them in your team colours starting at 10 units minimum as with our other main clothing lines. Contact Us to find out more about these exciting new jerseys.